Ever wondered what Wesley Crusher got up too after he ran off with the Traveller? Maybe he used his powers to manipulate space and time to become various crew members from each series? Sure beats staying in his room with that voice recorder he made once. Check out some of these incredible photoshopped imaginings coming out of the Treknobabble Subreddit. 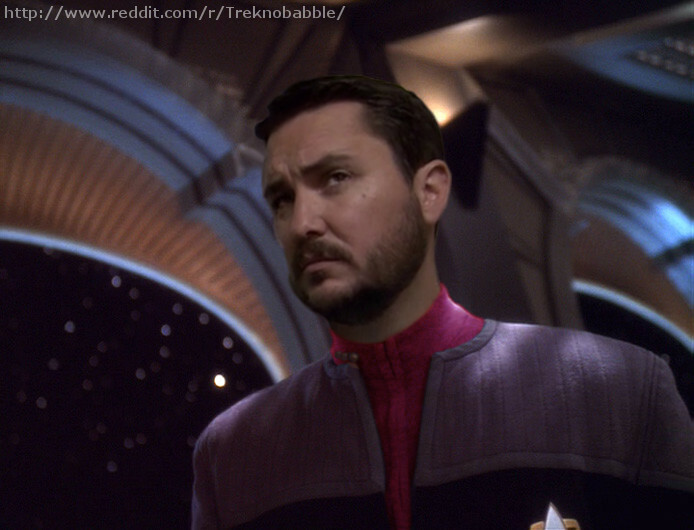 Made by deadfraggle who made the TOS/TNG cross over pics that spread over the web like a secret whispered at Quarks. This is our favourite, downloaded it to to full resolution for our own stash.